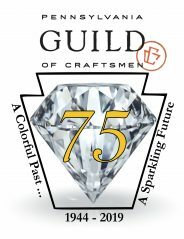 The Yellow Breeches Chapter of the Pennsylvania Guild of Craftsmen was organized in the early 1970’s as the Cumberland Handcrafters Guild. Because so many of our members live near and draw inspiration from the beautiful Yellow Breeches Creek, when we were chartered in 1986, we named ourselves the Yellow Breeches Chapter of the Pennsylvania Guild of Craftsmen. Fosters the appreciation and execution of fine craft of the highest quality. Encourages the study and practice of handmade fine crafts in the community. Supports and expands high standards of design and craftsmanship via meetings, publications and exhibitions. Assists our members in the marketing of their handcrafts.